New Venom movie launched by marvel 2018. The movie hits out in the cities. The trailer is truly awesome which is new experience about the dark life. you can watch in English, Hindi, Tamil and Telugu. NCR is top grossing, second one is Mumbai and third one is Bengaluru. You can also book now show of movie on theater. 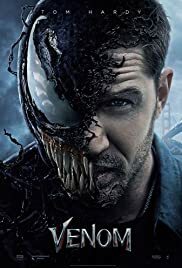 check out the link..
Read more about venom movie. I have seen it first day show when venom release in India October 5.. Superb Movie.